WestLink Services Cleaning Company in Sydney was founded with one thing in mind: providing affordable home and office cleaning services which will never compromise on quality. As a result of which by working with a range of clients, including homeowners, schools, nurseries, businesses, and more, we are able to offer first-rate in home and office cleaning services Sydney with a keen focus on customer satisfaction. Therefore each of our cleaners is fully-trained, insured and certified to handle any cleaning task you require. 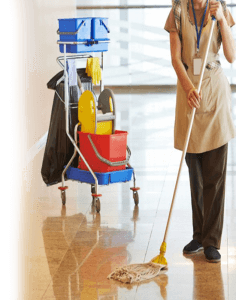 Furthermore many cleaners throughout Sydney working seven days a week to suit you for providing office cleaning services Sydney. Because of that we are able to provide same-day service on a variety of cleaning jobs. Whether you need a one-off cleaning or an occasional specialised service such as Oven Cleaning in Sydney or BBQ cleaning in Sydney, our teams are at your disposal anytime. Additionally you can also turn to us when your work space needs cleaning. We easily clean offices, cafés, restaurants and other business facilities. Just call our friendly staff on 041 618 7900 to find out how we can help you. Since the establishment of our cleaning business in Sydney, we strive to meet every request of our customers. Also we are constantly perfecting our services to make them more efficient and convenient for you and your family rather staying in same old fashion forever. Additionally, we work mainly with eco-friendly detergents to ensure a chemical-free environment for you. Above all our services are flexible and designed to suit your needs. Reliable and trustworthy cleaning team.